Dream a little dream with me... 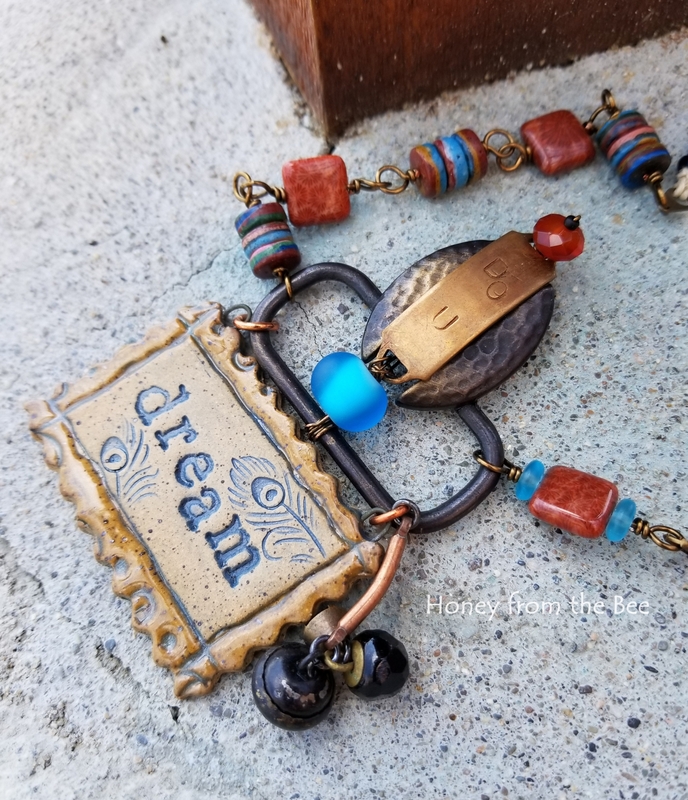 I created this boho style statement necklace as part of a design challenge that had an inspiration of a Gee Bend Quilt. You can read more about it and see the inspiration quilt in this blog post of mine. Fordite beads - man made "stone" created from layers and layers of paint that built up over time in the chambers where they used to paint cars. They no longer paint cars in this manner so the beads are rare and pricey. I just love the colors! About 22 inches in length. 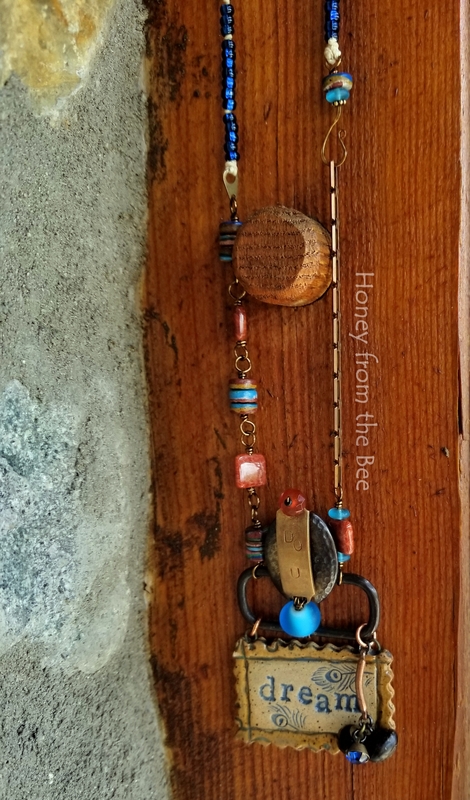 The pendant is about 2w x 3.25h inches. 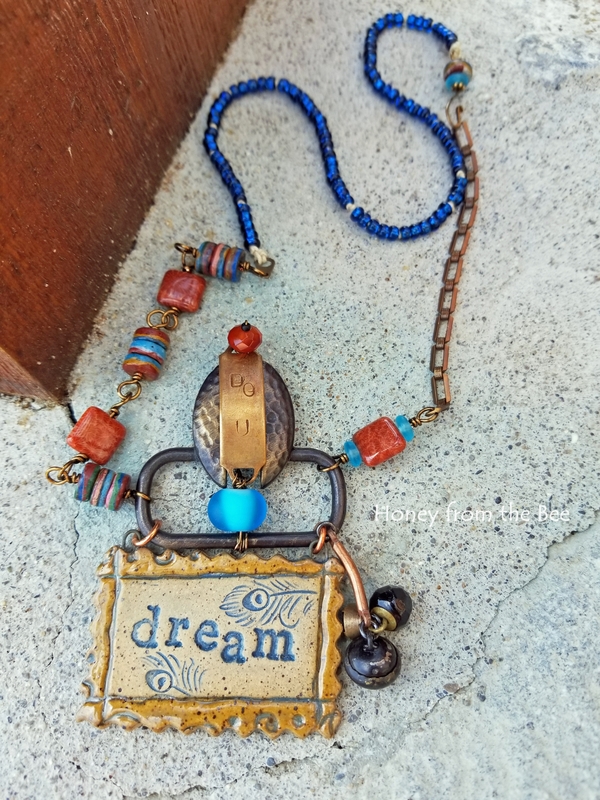 This mixed media necklace would be wonderful for a sewer or quilter, but also for anyone that dreams out loud.